A well kept historic home with a location that is unbeatable! 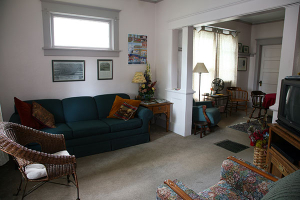 The Elliott Guest House is a completely restored home built in 1916. Fine linens, regional art, and a fully furnished kitchen grace the home. 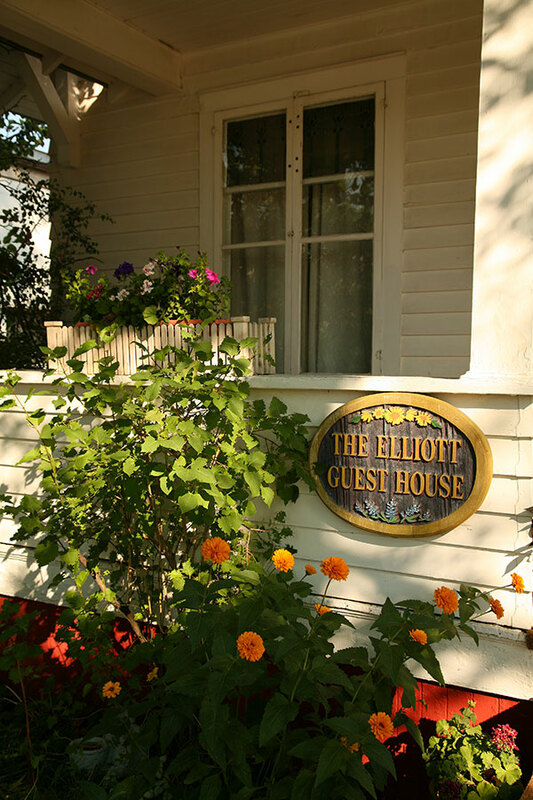 The Elliott Guest House is distinguished as one of the area’s first vacation homes. It is a premiere place for fly fishers to stay. We love to host our guests. This is our only home that we manage, so your stay will not feel like a corporate booking or distant management company experience. For nearly 97 years, we have had the pleasure of hosting expectant mothers, vacationers, extended families from the Livingston-Gardiner-Bozeman area, and yes, even actors from ‘A River Runs Through It’ and the ‘Horse Whisperer’. If only our walls could talk and share with you all of the comings and goings at The Elliott House! The home is very clean, and the owner pays close attention to details. There are three bedrooms and one bathroom that features an antique claw foot bathtub. A generous supply of books, magazines, and games abounds. Call ahead with your grocery list, and the owner will stock the home for you, book you for massage therapy at the nearby Firehall Fitness Center, or send you a list of yoga classes just one block from the home. Kara Stermitz is a fifth generation owner of the Elliott Guest House. Originally built by Kara’s great-great grandmother, Sarah Schultz, the home was an early day boarding home for expectant mothers. Kara’s great-great grandmother Sarah, a mid-wife, journeyed in her horse and buggy to outlying ranches to pick up expectant mothers. She pampered Mom and Baby, giving them respite they likely would not have again soon. Kara has strong ties to Park County, as her family still ranches near Yellowstone Park. 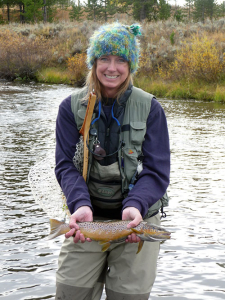 Kara is an avid flyfisher and can talk with you about many excursions and choices in the area.